Do you think Beyoncé would be Beyoncé if she let what happened in the past determine who she is working to become in the future? Whether it's weight gain, back pain, the "Haters," a cheatin' man (or woman! ), money troubles, or just general frustration with not being where you want to be in life, you can always choose to "make lemonade," whatever that means for you. 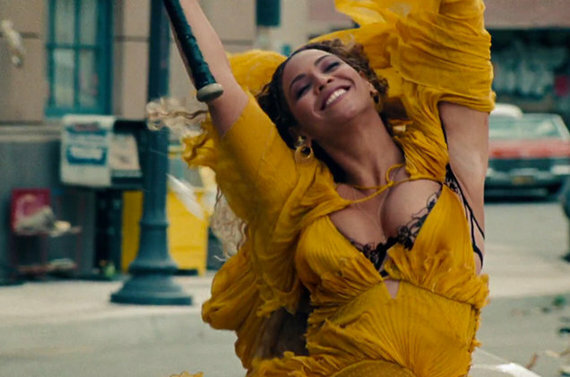 Lemonade is not about brushing everything under the carpet and pretending to be okay. It's about walking down the street, Hot Sauce in hand, and handling your business like a woman. It's about not apologizing for your emotions, your mess, your humanity -- but rather, baring it all, unapologetically, and choosing to love yourself in spite of (because of?) all that mess. 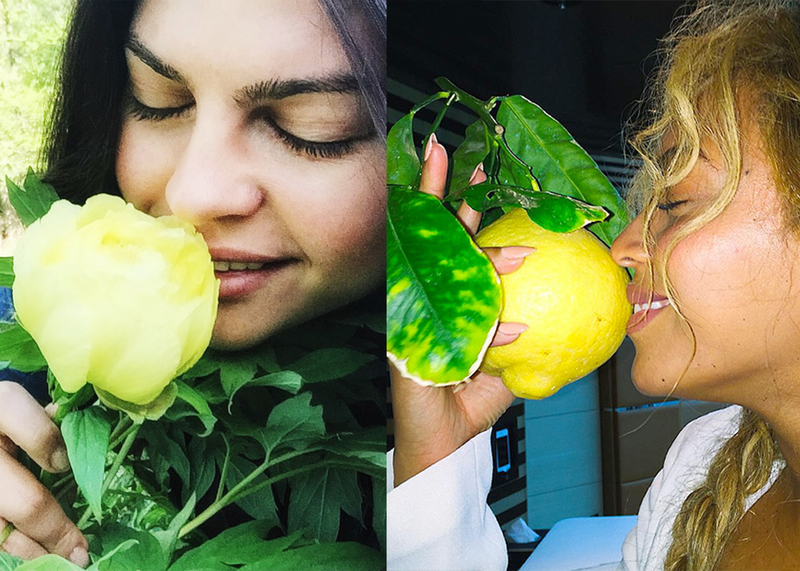 Me paying tribute to Queen Bey's famous lemon Instagram photo. I've had my hurdles and my rough patches in life. I've written about some of them here on the blog in the past. I, like every human being I know, have had to wrestle with shame, guilt, embarrassment, failure, being passed over, and the desire to give up. Even Beyoncé deals with this stuff! No one is immune to struggle. The struggle finds you, one way or another. It's how you choose to deal with it that defines your experience here on this earth. This is true of your experience with your body. And other people, and your job, and romance, and money, and family, and yourself. It's true whether you're a size 2 or 22. It's true whether you're black, white, brown, mixed-race, or any shade in between. We ALL get to decide. My biggest takeaway after ravenously ingesting untold quantities of Lemonade over the past few weeks is this: no matter what happens to you, or what you're going through, you can choose to roll all of those experiences into who you become going forward. You can channel all of that negativity that's weighing down on you into a big, glorious release -- monster truck optional -- and then morph into the most glorious version of yourself yet. I often remind myself that Beyoncé has the same 24 hours in a day that I do. 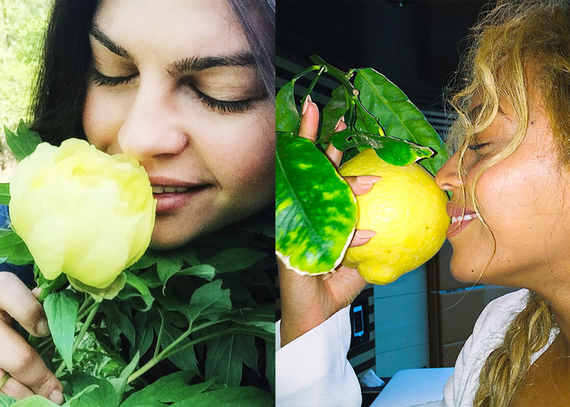 I, like Beyoncé, have the option to either allow myself to be consumed by the sourness, or make lemonade. The same is true for you -- what will you choose?